Adventure is a pillar of Round Square and in each academic session, Genesis provides an opportunity to its scholars to explore and introspect, by organizing Adventure camps. It is a fun time for scholars and mentors alike. However, the idea behind these camps is to provide exposure to them by offering challenging outdoor activities which have a great impact on a child’s intellectual, physical, spiritual, social and moral development. Adventure camps with activities like rappelling, river crossing, rock climbing, trekking, hiking, navigation and night camping enhance skills of problem solving and team building. 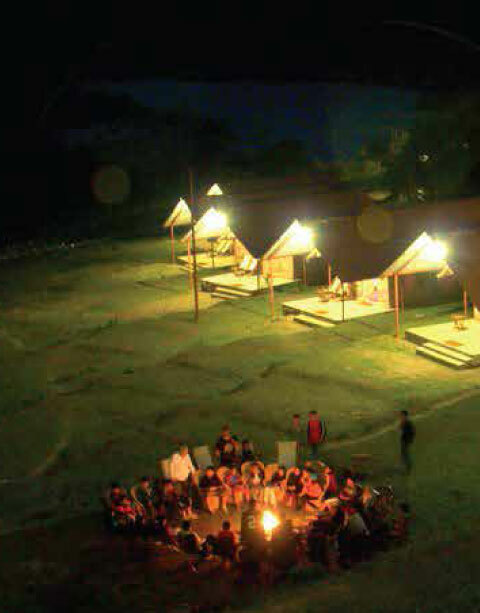 There is a great deal of intrinsic enjoyment and satisfaction that is experienced through these camps. These non-competitive activities create avenues for achievement as well as opportunities to develop independence and self- reliance, helping participants to overcome fears and apprehensions along the way. Trust, care and tolerance to give and accept are encouraged to develop interpersonal skills while working in teams. It contributes to good health and physical fitness and sense of appreciation for Nature.